As soon as I put on my sneakers and step out the door for a run, my brain turns off and my legs take over. I’m only running about 3-4 miles a day currently, but that is just enough time to disconnect from my gmail, the latest blog I’m reading, the novel I’m absorbed in, and the current project that I’m thinking about for work. Even as I blast dance music through my headphones an extensive quiet overtakes the run. Here, I have the quietest runs I have ever experienced. For some unknown reason, there is a gravel road that ventures a few miles out of town. 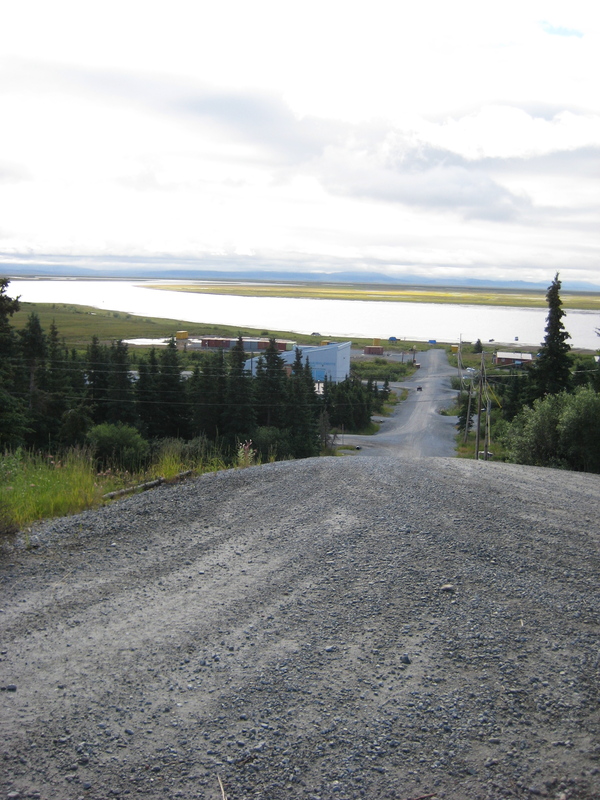 Despite the signs at the beginning of the road that dramatically warn drivers that it is a “One Lane Road” and “Use Turnoffs when Traffic Approaches” I have not yet seen any truck or ATV on this road. No cars, trucks, ATVS, bikes, or even other runners. While this solitude is beautiful, it does carry a risk with it. As one of the nice women at the village store told me yesterday, “Bears are now coming in places where they didn’t used to, bring someone’s dog with you…” Running is a risk because one solo runner does not make enough noise to scare off a bear. Rest assured, dear readers, that I will be attaching bells to my running clothes and will be bringing a dog with me as often as possible. Nothing would destroy the tranquility of a run like getting attacked by a bear! In other running news, I just signed myself up to be the school’s cross country coach. Practice starts next Monday, so I have six days to figure out how to be a running coach. I want more pictures! MORE! And congrats on becoming the cross country coach. I’m sure you’ll figure out how to be stellar at it.